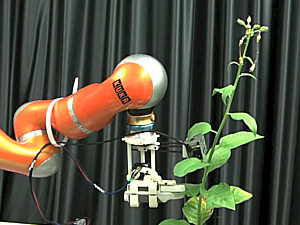 The PAU project, developed by researchers from the Mobile Robotics and Perception and Manipulation research lines at IRI, seeks theoretical foundations of the relation between perception and action in the presence of uncertainty. Its main outcome are novel methods for Bayesian estimation applied to robotics problems with large state spaces. Current work is on, novel uncertainty parameterizations that allow efficient inference for the SLAM problem, new probabilistic hypotheses testing strategies with respect to information load, new active exploration paradigms for scene and object model acquisition, and novel pose estimation algorithms for rigid and deformable objects. 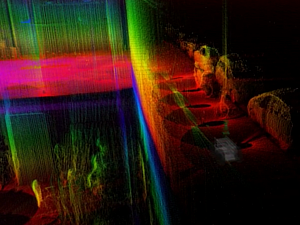 Two application domains are targeted: real-time simultaneous localization and mapping (SLAM) in large outdoor unstructured environments and perception of deformable objects. These two specific robotics applications, although very different in nature share many common aspects with respect to the formalism of the perception, estimation, and exploration algorithms used. 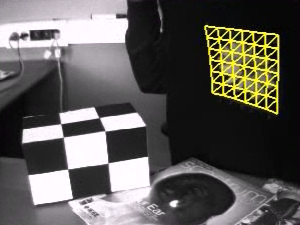 The project has also produced significant results on methods for object recognition and pose estimation.